Marruecos se beneficia ilegalmente de los recursos naturales del Sahara Occidental gracias a empresas como la catalana FMC Foret, que adquiere más de medio millón de toneladas de fosfatos saharauis cada año, o la gallega Jealsa, que comercializa las conservas Rianxeira y Escuris y que posee una fábrica en El Aaiun que envasa para la marca blanca Hacendado, de Mercadona. Mientras, en los territorios ocupados, los saharauis reciben continuas palizas, violaciones y detenciones ilegales por parte de las autoridades ocupantes. A Marruecos no le puede salir rentable seguir robando a los saharauis. ¡EN TUS MANOS ESTÁ EL EVITARLO! Desde la Plataforma de Apoyo Político al Pueblo Saharaui (PAPPS) hemos comenzado una campaña de denuncia para exigir a Mercadona que retire todos sus productos de Hacendado que hayan sido adquiridos a Escuris, y que deje de una vez por todas de comprarle a Escuris productos ROBADOS A LOS SAHARAUIS. ¡¡SÚMATE A NUESTRA CIBER - ACCIÓN!! MERCADONA comercializa productos de ESCURIS a través de su marca blanca HACENDADO. Las conservas de pescado Escuris proceden del Sahara Occidental, un territorio ocupado ilegalmente por Marruecos en el que se violan los derechos humanos y se explotan sus recursos naturales en beneficio del gobierno marroquí y contra la legalidad internacional. Los productos de Escuris son productos ROBADOS. Por ello, exijo a Mercadona que RETIRE INMEDIATAMENTE todos los productos de Hacendado que hayan sido adquiridos a Escuris. Exijo a Mercadona que deje de comprar productos robados a Escuris. Rellena tus datos personales (no hace falta poner el teléfono) y pincha la opción "Otros". Pulsa en el recuadro "Enviar" que está al final. Envía el mismo texto a todos los foros de consumidores que conozcas, para que otra gente se sume a la campaña y deje de comprar conservas de pescado de Hacendado o Escuris. REENVÍA ESTE CORREO A TODOS TUS CONTACTOS. CUANTAS MÁS QUEJAS LLEGUEN A MERCADONA, MÁS POSIBILIDADES TENEMOS DE CONSEGUIR NUESTRO OBJETIVO. The Western Sahara deadlock has been taking place for many years and caused a lot of misery, suffering, debates, and frustration among other things. The UN-brokered peace plan has only contributed to more grievance and false hopes. Yet in Western Sahara, recent civilian nonviolent resistance has greatly impacted the lives of the Sahrawis and changed political calculations. Oppression, beatings, torture, imprisonment, unfair trails have only pushed Sahrawis to go on further and challenge the Moroccan "Makhzen" (regime), thus raising more awareness about the Sahrawis and their situation. The emergence of a Sahrawi civil society is now highly recognized as it is more active now than ever. The UN security councilSecurity Council keeps ignoring the Sahrawis’ plea for human rights monitoring, but France continues to block it. One can only ask the following question: Are we entering a new era in the peace process of Western Sahara where a new road-map is being jotted down by the so called “Group of Friends”? Or is it a cross-roads for the Sahrawis in the unfinished quest for an independent state? For many decades, hope was out there calling out for Sahrawis: Hope for an independent country where Sahrawis can exercise their sovereignty over their land, and enjoy the liberty and the freedom they should have had years ago, before the Moroccan invasion of 1975. There were many wars, battles, and also too much blood shed and spilled for the sake of that land. The year 1991 was a decisive year when the Polisario and Morocco agreed to a cease fire and the organization of a referendum. People cherished the decision and everyone saluted the courageous peace-makers. But at what price then? Sahrawis in the refugees camps packed up their earthly modest belongings and stayed put for the long-awaited dream to come true: Waited for that beautiful day where they would embrace their own land and hug their own siblings on the other side of Morocco’s wall. The hope for a referendum evaporated in the amid the dry Lahmada, and the dream turned into a simple mirage. People got desperate and many felt betrayed by their own leadership and the International Community. It was a bitter feeling. The UN, from certain people's perspective, has only added to their misery and contaminated their life with false promises and brought about the downfall of their own sense of glory, while bringing a celebrated sense of triumph to some others. The Polisario leadership made a fatal mistake by agreeing to the cease-fire treaty and accepting to abide by the International Legality. The Sahrawis paid a high price for peace, and the impasse is what they are getting in return. Morocco took advantage of the situation and strengthened its berm, reinforced the army, and trained its skilled soldiers. This period has also benefitted Morocco where by more “settlements" were built in the occupied Western Sahara, and more Moroccan settlers were broughtwere brought in to "subdue" the Sahrawis, who becamewho became a minority in their own land. This allowed Moroccan to come up with so called autonomy initiative to rule out the option of a Referendum on Self-determination. Huge sums of money are spent on lobbying and bribing for the sake of autonomy and to legitimize the illegal occupation of Western Sahara. Among these strategies, the Moroccan people are being brainwashed continuously to provide support; together all the sniveling voicessniveling voices around the monarchy thus insure their submission and unquestioned loyalty. The Sahrawis, for their own sake, did not give up and we witnessed the first and ongoing Intifada. "The Independence Intifada" emerged amidst frustration, oppression, and a new will to triumph and to stand up. This time the civil nonviolent resistance came from within the mass of unrivaled Sahrawi generations inside the occupied territories. Why did it burst out? How? And what did Sahrawis gain from it so far? The Intifada of May 2005 is still striking back hard at the Morocco’s oppressive regime. It is not the first popular non-violent resistance the Sahara has known. There were many uprisings and demonstration in the history of the Sahrawis struggle, but this one is, by far, the toughest one and the longest one. It emerged abruptly and spontaneously. Everyone applauded and showed solidarity. The more civilians protested against occupation, the more enraged the regime became. Human Rights Watch, Amnesty International, Frontline, the World Organization Againstagainst Torture and many other human rights organizations followed the situation, interviewed Sahrawis and studied the case. Media started talking about the silenced voices which came rising like an erupting volcano. It was like the rebirth of a myth. A myth of people's power. A personification of a strong will to say no and to stop the aggression. The whole world is witnessing a new face of the struggle. It evolved around one solid truth: "The Sahrawis will never surrender." Sahrawis flags on poles, graffiti on walls, demonstration, uprisings, and hunger-strikes from inside and outside prisons. Morocco felt that the whole world was crumbling around it; the Intifada proved to be an effective weapon aimed to shorten the life-span of the occupation. The UN sends in a human rights delegation to investigate. Yet, its report could be not published because France stopped it. The EU sends in its own delegations. Moroccan is faulted but. silence is the only response. The Intifada has completed more than five years, leaving Sahrawis still in limbo. True enough, Sahrawis gained respect, solidarity, and the world's admiration. Yet, there are still the refugee camps, the diaspora, and the illegal plundering of Western Sahara’s natural resources. The conflict seems to be caught in a knotted web, a chess game. The world’s decision making countries list the Western Sahara at the bottom of their agenda. The new world order has seemingly excluded the Western Sahara from its political and economic map. In recent years, and in parallel with the Intifada, the Polisario has developed many new strategies: Film festivals, arts festivals, marathons, conferences, TV broadcasts, and a Sahrawi delegations visit the other side of berm. Indeed, these new tactics did not go unanswered by Morocco. The Moroccan regime activated Moroccan communities abroad, the associations, the political parties, and engaged all pro-Moroccans into a feverish war to re-launch its own propaganda and thus launching a new war against Sahrawis everywhere. The Western Sahara conflict is no longer monopolized by the palace nor by the elite, though its sequences are still solidly directed and advised by the king and his close circle. During recent events, Sahrawis realized that they are not fighting Moroccans, but rather fighting France. France is the "Guardian Angel". The cornerstone in this complicated formula. Apparently, Morocco is no longer leading the war nor abiding by international legality as long as France is out there ready to defend, attack, and block any UNSC resolution in favor of the Sahrawis and their legitimate sole representative: the Polisario. James Baker, John Bolton, Kofi Annan, Ban ki Moon, Christopher Ross ... etc. All are names of high-ranked politicians or leaders who tackled, firsthand, the issue of Western Sahara but with no results so far. Moroccan is pushing hard for its autonomy initiative while the Polisario has presented many approaches to the conflict, and has made many concessions. So far, the only signs of improvements are the exchange of family visits to and from the refugee camps, the commitment to enact plans to destroy landmines, and the will to continue the process of negotiations. The question still remains: Did the Moroccans trick the Sahrawis into this stalemate? Did the Sahrawis miscalculate? Did something go wrong along the line?. The UN's recent resolutions called for the extention of the MINURSO mandate, and for the parties to engage in negotiations without conditions, while it also called for innovation and imagination. The Polisario, a few days before the recent UNSC resolution, threatened to revise the nature of its relation with the MINURSO. Yet, the threat was not considered serious and no immediate action has been so far. The young generations feel they are being left behind and their voices are not heard. They are ready to shout out loud and clear if given the OK by the Polisario. There is a general consensus that war will be the sting Moroccan need in times like this. The world would not do anything unless there is blood shed. Their patience has limits, and pressure is building up on both sides of the berm. 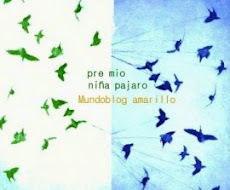 1- To stop dealing with MINURSO and no longer cooperate with them, as MINURSO has nothing to offer. As long as MINURSO does not provide a timetable for a referendum on independence, its mandate should be considered a dead letter. 2- Sahrawis everywhere ought to demonstrate in front of MINURSO offices and Headquarters. Those abroad can organize sit-ins in front of the UN offices. All demonstrators can hand their MINURSO sponsored, identification documents with a black line on the upper right corner to symbolize MINURSO’s death. 3- Sahrawis have to twist the arm of France by seeking out a more powerful ally, preferably a member of UNSC; they can also dictate their own terms by threatening to turn the French-speaking countries against it, especially in Africa. This will prove effective if more help and action are provided by Algeria and strong African allies. 4- Sahrawis can ask apply for the membership of the Hispanidad. Spain will not be, thus, isolated and threatened. Spain’s economic and cultural ties are strong with Latin America more than with Morocco. This, if done, will be a victorious move and Sahrawis would no longer fear any Spanish Interference. 5- A call for Sahrawi national unity should be made. 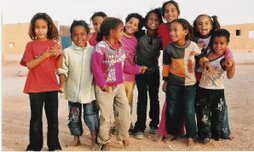 Associations operating in the Western Sahara have to work hand in hand for the greater good. Involving the new generations in the decision-making will bring new fresh ideas. Also, organization and guidance should be the general main frame in which everyone should think and act and react. Thinking out of the box will not mean bringing about untraditional ideas and applying them. 6- Sahrawis do not have to open Pandora’s Box to come up with creative ideas and tactics. Everything is out there for them to grab. Financing action has always been a challenge. Yet, the Polisario can always think about investing some money here and there to keep resistance alive. The activists and the Intifada youth need support and resources to continue the struggle. If given the smallest amount of financial resources, they can achieve more results. 7-The mobilization of every tool and every skilled person we have, including all non Sahrawis and who are, and to whom Sahrawis are grateful, working around the clock to raise awareness and to unmask Morocco’s atrocities and conspiracies. Mobilization of financial funds and money trusts should be put to test. The Polisario ought to think about investing money in foreign markets to be able to sponsor its operations, especially in the occupied territory. The international aid is not enough and is diminishing and is being used as a strategic tool against the Sahrawis by certain powers to pressure them into more concessions. 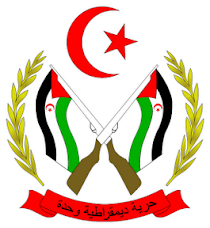 8- The Sahrawis should think about forming an active team to study all facets of situations and gather all information that is related to the Sahrawi conflict with all that it might entail. A futuristic vision and a deep insight should be the goal for that team. Once all data is piled up and studied on a daily basis, reports should be generated and evaluated and then sent to all those concerned for better decision making. They ought to have a certain kind of strategic planning for the good of their own people. Last and not least, mapping the future can be engraved by Sahrawis themselves without even seeking the help from outside. Despite the fact they are a minority, Sahrawis do, in fact, have a lot to offer. Great skills come from deep impacts. Resources are out there but they just need to select them wisely and to make the right decision. Times are changing, and Sahrawis have to change with them and learn from past experiences. It is never too late to look back and to get ready for more powerful action. The Western Sahara Republic is a FACT and it will establish its existence whether Morocco likes it or not. The question is: Will the Sahrawis go for next step or not? It is a choice and when you have a choice and a road-map, which would be easy to figure out where a clean vision is omnipresent. Dins de la Trobada Sahrauí a Mataró i dins, també, dels actes de commemoració del 20 de maig (37è. 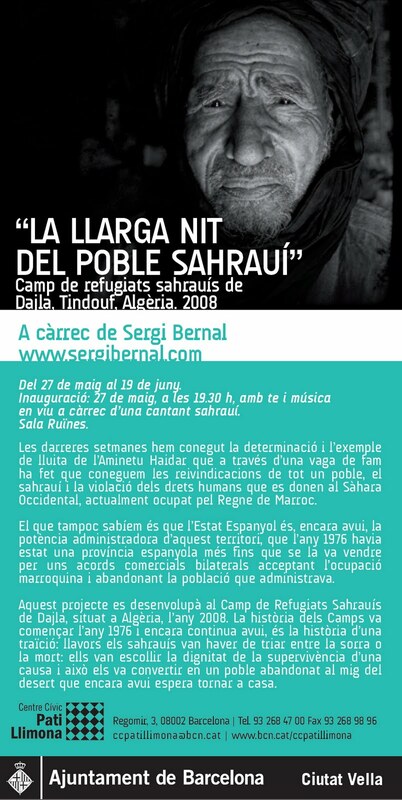 aniversari de la fundació del Frente Polisario) vam tenir la sort de tenir entre nosaltres, la cantant saharaui AZIZA BRAHIM, que amb unes cançons i una actitud molt càlida, va ajudar molt a convertir el seu recital tot un èxit. UNITED NATIONS, April 29 -- The Western Sahara resolution, which was scheduled to be voted on in the UN Security Council this morning, has been dropped from the agenda. On Western Sahara, Spain for Human Rights Mandate, Polisario Says UN Canceled its Stakeout "for Morocco"
UNITED NATIONS, April 26 -- As France and the UK face off on whether to include a human rights mandate in this week's UN Security Council resolution on the Western Sahara mission MINURSO, Inner City Press on Monday asked Spain's deputy prime minister Maria Teresa Fernandez de la Vega if her country supports the inclusion of the right mandate. Yes, Fernandez de la Vega said. She said human rights must be part of the mandate. Until now, this had not been known to be Spain's position. But even in response to a follow up question, Fernandez de la Vega confirmed the position. Videohere. She was speaking at the UN Television stakeout position on the second floor of the UN's Temporary North Lawn Building, after she met with Secretary General Ban Ki-moon. On Friday, Mohamed Abdelaziz, Secretary-General of the Frente Polisario, had met with Ban. The Press was told that he would speak at the stakeout at 5:15 on Friday. But shortly before that, the UN announced over a loudspeaker that Mohamed Abdelaziz' stakeout had been canceled. Later on Friday, Ban issued a statement about the meeting. On Monday, Inner City Press was told by a Polisario representative that Mohamed Abdelaziz' stakeout was canceled "after pressure from Morocco" to which the UN gave in. 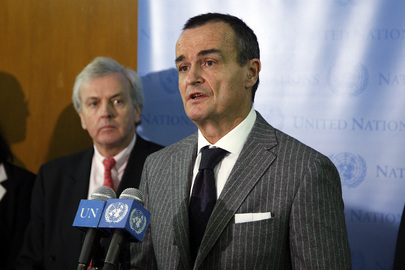 "The UN preferred to issue Ban Ki-moon's statement," the representative said. But by what right, one wondered, could the UN tell or even suggest to a party to a UN mediated conflict to not speak to the press? There is a history here. Back when the Security Council was on the UN's second floor, the Polisario's representative was speaking before a UN TV camera went suddenly it went dark. When Inner City Press inquired, the UN's response was that it was an electrical problem. But it emerged that a Moroccan former UN official had called UN TV and told them to pull the plug. Last week, Morocco's Ambassador was seen buzzing around the Security Council, even as they met about Chad. To cover their side of the argument, they point to an OLAF report that the Frente Polisario over estimates the number of people in the camps in order to get more food rations than are needed from the UN World Food Program, and then re-sell the rations for profit. Fernandez de la Vega, after her statement that Spain supports inclusion of a human rights mandate in MINURSO, said that the big picture us a solution that both parties can agree to, allowing for self-determination. This seems a long way off. Will human rights monitoring be a start? The resolution will be adopted on Thursday. Watch this site. Footnote: Inner City Press also asked Fernandez de la Vega if Spain's Alberdi, who got the top post at UNIFEM over an Indian candidate in a process determined, some say, by Spanish monetary contributions, is a candidate to head the forthcoming UN gender "super-agency." Fernandez de la Vega said that she is. "Now it's official," a Spanish correspondent said. So too with Spain's position on including a human rights mandate in the Western Sahara Mission? UNITED NATIONS, December 17, updated -- As the UN Security Council kept the request for a briefing on Western Sahara in the shadows on Thursday, word reached Inner City Press that seriously ill hunger striker Aminatou Haidar is being released and will return to Western Sahara. "It's good news," the well placed diplomatic source told Inner City Press. Moments later, a Security Council ambassador emerging from the closed door consultations told Inner City Press of a cable from Spain, that the plane has left. Asked if the Council will continue to consider the request for a briefing, the source said yes. But several non-permanent Council members told Inner City Press that "Costa Rica doesn't have nine votes" in favor of its request, if it called for a procedural vote. Inner City Press asked U.S. Ambassador Susan Rice, as she stood at the Council stakeout microphone, for the U.S. position on whether the Council should have a briefing on Western Sahara. Ambassador Rice walked away from the microphone, the question hanging in the air. "You have your answer," another correspondent told Inner City Press. A request to Mission staff on Wednesday likewise yielded no answer. Watch this site. Update: as the Council consultations got out, an Ambassador who favored a briefing on Western Sahara said there will now be one. "When they can't defeat you, they go along," he said. The French Ambassador Gerard Araud is said to have adamantly opposed the briefing -- but lost. Of course, the decision came after Ms. Haidar was freed. 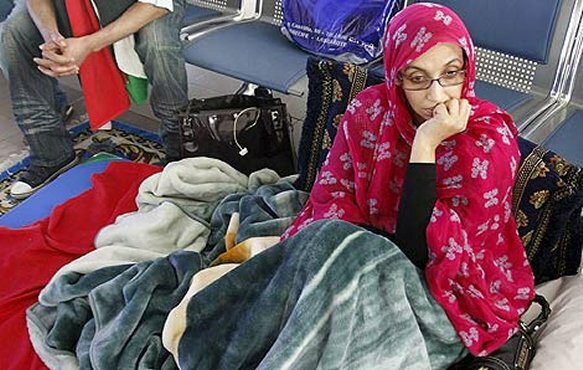 Inner City Press is told she is returning to Western Sahara on a Spanish plane, with her doctor and sister. 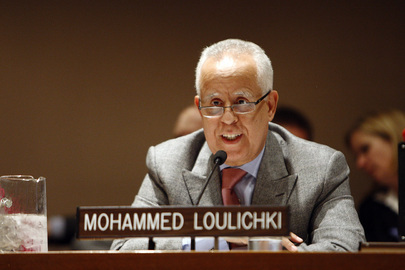 UNITED NATIONS, December 16 -- Through the half light outside the UN Security Council, Morocco's Ambassador Mohammed Loulichki passed on Wednesday afternoon. Inner City Press asked him, "How about a briefing?" The reference was to the request, first made by Costa Rica, supported by Uganda, Austria and to varying degrees others, for a briefing on Western Sahara in light of the extended hunger strike of human rights activist Aminatou Haidar. "There is no need for a briefing," Morocco's Ambassador replied. "Everyone knows everything in the UN... transparency." Further inquiry by Inner City Press finds that after Costa Rica made its proposal, and even suggested it would call for a vote, Mexico stepped forward for its own reasons with a compromise proposal, that this month's Council president Michel Kafando of Burkina Faso "reach out" to Morocco, the Frente Polisario and envoy Christopher Ross. The first two visited with Kafando on Wednesday, with the Frente Polisario presenting a letter among other things urging "the Members of the UNSC to immediately intervene to avoid a tragic end which will haunt forever the peace process." Ms. Haidar, according to an Inner City Press source who viewed a text message she sent on Wednesday, is suffering nausea and pain in his kidneys. Christopher Ross, UN sources tell Inner City Press, is in California on family business. We have more, as well, on Mexico's position, on which we reported yesterday. The Frente Polisario maintains an embassy in Mexico, despite Moroccan pressure to close it. Perhaps due to language as well as historical leftist and anti-colonial ties, Polisario is on the move in Latin America, opening embassies in Panama and Uruguay. Meanwhile, it had to close its embassy in Kenya, due it is said to pressure not only from Morocco but also Saudi Arabia. To return full circle to Wednesday afternoon's meeting, Burkina Faso was part of a move, driven by Morocco and France, to ejected Western Sahara from the African Union. It didn't work, but it happened. The second of the Burkina Faso presidency's two meetings ended with two options on the horseshoe table: no briefing, as urged by Morocco, or a briefing about Ms. Haidar and the wider situation. How would the choice be made between the two, and what role would be played by France, which in other circumstances has demanded briefings about Myanmar human rights activist Aung San Suu Kyi? Watch this site. El pasado domingo, 4 de abril, me desplacé a Casablanca (Marruecos), junto con Berta Herranz(1), para recibir a la Delegación de Activistas Saharauis Defensores de Derechos Humanos que, tras su visita a los Campamentos de Refugiados Saharauis en Tinduf (Argelia), regresaban a El Aaiún (Sahara Occidental) vía Argel (Argelia). Nuestro objetivo era garantizar con nuestra presencia, y en la medida de lo posible, la seguridad del grupo, y evitar los incidentes ocurridos con las delegaciones anteriores. En caso contrario, seríamos testigos de lo que pudiera sucederles e intentaríamos romper el bloqueo informativo de las violaciones de Derechos Humanos cometidas por el Estado marroquí contra la población saharaui. El lunes, 5 de abril, acudimos al aeropuerto de Casablanca y comprobamos cómo el primer grupo (compuesto por ocho activistas) abandonaba el aeropuerto y se dirigía al tren con destino Rabat (Marruecos). Sidi Mohamed Dadach y Mohamed Elismaili, miembros de CODAPSO(2), Sultana Khaya, Sukaina El Idrissi, Fakka Abdadi y Aajina Albouhan, pertenecientes a FAFESA(3), Najat Khnibila, de la ASVDH(4), y Naama Asfari, de CORELSO(5), que los acompañaba desde Argel procedente de Génova (Italia). En ningún momento contactamos con ellos para evitar que las autoridades marroquíes nos identificaran y pudieran impedir que acudiéramos a recibir al otro grupo que llegaría por la noche vía Roma (Italia). Finalmente, y por asuntos personales, Naama Asfari se quedó en el aeropuerto y viajamos con él en tren hasta Rabat. Una vez allí, y en taxi, nos dirigimos a la casa donde nos esperaba el grupo junto con otros activistas y familiares de los presos políticos saharauis de la cárcel de Salé. En el trayecto desde la estación fuimos seguidos por un turismo con agentes de paisano, y ya en ningún momento dejaríamos de estar vigilados. Enseguida comenzaron a llegar más activistas y estudiantes saharauis de las universidades de las ciudades cercanas que querían dar la bienvenida a la delegación y recibir, de primera mano, información sobre el viaje. Mahjoub Awlad Cheikh y Hassanna Elwali, del Comité contra la Tortura de Dakhla, Fadah Aghlamenhom, de la ASVDH(3), y Ammailimnine Souiyeh, miembro del Comité de los 15(6). En la mañana del martes, 6 de abril, Berta y yo, acompañados por Naama Asfari y Said Beilal (líder saharaui estudiantil) regresamos a Casablanca. Said se regresó y nosotros continuamos hasta el aeropuerto para sacar los tres billetes de avión que nos permitirían acompañar a la delegación en su regreso a El Aaiún. En las oficinas de Royal Air Marroc nos dijeron que no quedaban plazas, algo que después comprobamos que no era cierto. Esperamos a que la delegación llegara al aeropuerto y nos dirigimos en tren a Marraquech. Allí se quedó Naama y nosotros continuamos viaje en autobús hacia El Aiún. A pesar de haber sacado los pasajes con mucha antelación, nos asignaron los asientos junto a la escalera trasera; suponemos que para facilitar el trabajo de los policías que durante el trayecto subieron en dos ocasiones a pedirnos la documentación, única y exclusivamente a nosotros dos. Tras quince horas de viaje llegamos a El Aaiún a las 10:30 de la mañana del miércoles, 7 de abril. Continuamente vigilados, esperamos en un cafetín a que llegara a buscarnos Hassanna Duihi, representante del Comité de Protección de Presos Saharauis y miembro de la ASVDH(3), y nos dirigimos a su casa, donde nos encontramos con otros activistas. De ahí, seguidos por la policía, fuimos a casa de Sidi Mohamed Dadach, donde se encontraba toda la delegación y por donde fueron pasando decenas de saharauis; muchos de ellos eran activistas o familiares de presos y desaparecidos. La casa estuvo, en todo momento, vigilada por efectivos de la policía; tanto uniformados como de paisano. Ahí pudimos conocer, de primera mano, los hechos acontecidos a la llegada de la delegación al aeropuerto de El Aaiún, donde la administración marroquí organizó una auténtica emboscada reuniendo a centenares de ciudadanos marroquíes que atacaron y agredieron a los activistas recién llegados y a los familiares y amigos que habían acudido a recibirles. Todo esto dirigido por policías de paisano y de uniforme, entre los que destacaban los tristemente conocidos torturadores marroquíes: los oficiales Aziz Anouche, y Khaled Baraka. De todo ello fueron testigos varios miembros de la MINURSO (Misión de las Naciones Unidas para el Referéndum en el Sahara Occidental) que permanecieron impasibles. Al salir del aeropuerto, centenares de marroquíes, que portaban banderas y fotos del rey, comenzaron a golpear al grupo con los palos de las banderas y a escupirles a la cara, insultándolos y lanzando eslóganes a favor de Marruecos. Ya en los coches, la muchedumbre siguió golpeando los vehículos con palos, patadas y piedras, rompiendo varios cristales de los mismos. Entre los heridos caben destacar: Nguiya Dadach (de 4 años, hija de Sidi Mohamed Dadach), Sultana Khaya, Fakka Abdadi, Mariam Borhimi, Marmada Mohamed Salem Bujari, Hayat Knibila, Ayub Jatari (niño de 4 años de edad), Elgalia Djimi, Bachir Khfaoni, Dafa Sidi Moulod, Mahyub Ualad Cheikh, Hassana Luali, Mailimnin Swayeh, Hmaida Rahmuni, Yehdiha Haimuda y Fatimetu Ismaili. Ya en la tarde, nos dividimos en dos grupos. 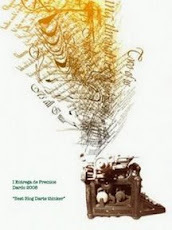 Berta partió hacia Bujador (Sahara Occidental) junto con: Hassanna Duihi, Sultana Khaya, Hassanna Aalaya, Hayat Rguibi, Sidahmed Lamjaiyad, Fadah Aghlamenhom, Izana Amaidan, Nguiya Elhawassi, Said Hadad, Brahim Elismaili, Hassanna Elwali, Elmahjioub Awladcheikh, Sidi Haiba Ahbibi, Hassan Dah y Elbachir Khadda. Yo me dirigí a Smara (Sahara Occidental) con Sidi Mohamed Dadach, Mohamed Elismail, Sukaina El Idrissi, Fakka Abdadi, Aajina Albouhan y el conductor del taxi. Durante todo el trayecto fuimos seguidos por diferentes vehículos y, tras varios y prolongados controles policiales, después de más de cuatro horas de viaje llegamos a Smara. A la entrada de la ciudad, junto al control de policía, nos esperaban varios cientos de colonos marroquíes. La policía los tenía perfectamente organizados sobre la acera, formando un cordón entre ellos y la calzada. Los agentes nos hicieron detener el coche junto a los ahí congregados y en ese momento les dejaron vía libre para que nos rodearan. Primero pidieron mi pasaporte, después el del conductor y finalmente el de los activistas saharauis; en varias ocasiones nos hicieron abrir las puertas y el maletero. De este modo facilitaban las provocaciones y agresiones, tanto verbales como físicas, de los manifestantes y de algunos agentes de paisano. Fue en este momento cuando contactamos por primera vez con la prensa internacional para dar parte de lo sucedido. También ahí pudimos comprobar lo molesto que resulta la presencia de observadores internacionales, pues muchas de las provocaciones se dirigían a mi persona. Además de los colonos, estaban presentes funcionarios de la ciudad, ciudadanos llevados desde ciudades como Tan Tan y destacados miembros del CORCAS(7) y de la asociación Sahara Marroquí. Estos eran los más beligerantes, pues el resto, a pesar de portar banderas marroquíes y fotos del rey, no mostraban ningún entusiasmo ni convicción por lo que estaban haciendo. Tras más de media hora de hostigamiento y acoso, la policía nos abrió camino y pudimos continuar, siempre vigilados, rumbo a casa de Ahmed Naciri(8). Las calles de acceso y la propia vivienda estaban fuertemente custodiadas pero se nos permitió entrar en ella sin problema, siempre y cuando en la calle no hubiera muestras de celebración. Allí nos esperaban decenas de saharauis que querían dar la bienvenida a la delegación, mostrarles su apoyo y reconocimiento e intercambiar opiniones sobre lo acontecido durante el viaje a los Campamentos y su regreso. La emotiva recepción, los cánticos, las consignas y la euforia dieron paso a un ambiente más reposado que propiciaba la conversación. 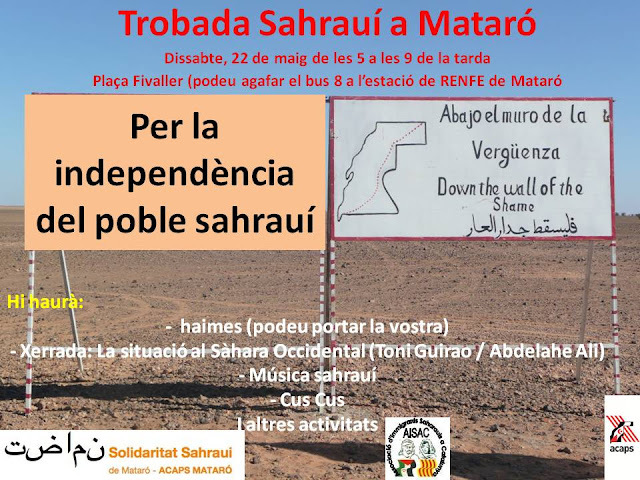 Tanto los activistas como yo mismo pudimos dirigirnos a todo el pueblo saharaui a través de la Radio Nacional Saharaui y la RASD-TV para contar lo sucedido y reafirmar nuestro incondicional apoyo a la lucha por el respeto de sus legítimos derechos. Las visitas se prolongaron hasta la madrugada, y con ellas llegaban desgarradores testimonios de la sistemática política de agresión y de violación marroquí de los Derechos Humanos en el Sahara Occidental. Parte de los allí presentes nos trasladamos a otra casa, también controlada por agentes secretos, para pasar la noche, y en la mañana siguiente continuaron los encuentros con activistas y víctimas de la represión ejercida por las fuerzas de ocupación marroquíes. Por las conversaciones telefónicas mantenidas con Berta, pude saber que lo sucedido en su viaje y estancia en Bujador se diferenciaba muy poco de lo vivido por nosotros. Ya por la tarde, me dirigí con Sidi Mohamed Dadach a la central de taxis para volver a El Aaiún. Junto con nosotros viajarían otros tres saharauis que no conocíamos. El viaje de regreso fue muy similar; prolongados controles de la policía y gendarmería y diferentes coches siguiéndonos. A la entrada de El Aaiún nos esperaba algo muy parecido a lo sucedido en Smara. La policía nos retuvo en el control policial para pedirnos, una vez más, la documentación, y de nuevo fuimos acosados por los colonos marroquíes. Al comprobar que habían arrancado la matrícula trasera, el taxista se apeó para solicitar a la policía que interviniera para evitar que siguieran dañando el coche. En ese momento fue agredido por los manifestantes que, ante la pasividad policial, aprovecharon para asomarse al interior del vehículo para seguir insultándonos e intentar golpearnos con los palos de las banderas. Durante más de media hora continuaron insultando, escupiendo, amenazando y golpeando el coche, hasta que, finalmente, cuando a la policía le pareció oportuno, nos abrieron camino y nos permitieron llegar a casa de Dadach; que seguía vigilada por la policía y agentes secretos. Avisamos a los compañeros procedentes de Bujador de lo que podrían encontrarse y, efectivamente, fue así. Los tres coches en los que viajaban fueron detenidos por la policía justo en frente de donde se encontraban unos 300 colonos que golpeaban y zarandeaban los vehículos, llegando a romper varios cristales de los mismos con piedras y con las banderas marroquíes y fotos que portaban del Rey. La respuesta policial fue exactamente igual que en los casos anteriores. Algunos de los ocupantes de los vehículos que formaban la comitiva fueron obligados a salir del coche, donde sufrieron todo tipo de agresiones por parte de los colonos marroquíes; resultaron especialmente lesionados Sultana Khaya y Sidahmed Lamjaiyad, presidente del CPORN(9). En ese momento, Hassana Duihi fue introducido en un coche policial con destino desconocido. Yo estaba en casa de Dadach cuando recibí una llamada de Berta para contarme lo sucedido y pedirme que acudiera a la puerta de la Sede del Tribunal de Apelación de El Aaiún; donde se encontraba junto con los activistas para denunciar ante el Procurador del Rey las agresiones recibidas por parte de los colonos y la policía marroquí y, especialmente, la desaparición de Hassanna Duihi. Antes de llegar a la puerta del Tribunal, el taxista que debía llevarme me obligó a apearme en una calle para mí desconocida. Comprobé, además, que me seguía un agente secreto en moto. Tras varias llamadas a los activistas y gracias a un grupo de niños saharauis que vinieron en mi busca conseguí llegar hasta ellos. Dado que el Procurador no aparecía, se decidió organizar una sentada pacífica y pasar allí la noche a la espera de que nos recibiera. La presencia policial, permanente desde el primer momento, fue aumentando con la llegada de decenas de furgonetas de los grupos de intervención y personal de paisano, pertenecientes a la Policía Judicial, que llegaban en furgones militarizados. El acoso y las provocaciones eran cada vez mayores. Entonces apareció Hassanna Duihi, que había sido trasladado en varios vehículos policiales en los que fue golpeado y torturado hasta que, finalmente, lo abandonaron a 3 Km. de la ciudad. Le habían roto las gafas y presentaba hematomas en los ojos y el resto de la cara. También se personaron varios abogados saharauis, dos miembros de la Asociación Marroquí de Derechos Humanos y diferentes activistas saharauis, entre los caben destacar Sidi Mohamed Dadach y Ahmed Sbai, Secretario General del Comité para la Protección de Presos Saharauis. También llegaron numerosos ciudadanos saharauis para mostrar su apoyo y facilitar las condiciones para pasar la noche; trayendo mantas, agua y alimentos. Algunos agentes se acercaron al grupo para que se dispersara; Duihi, que hacía las veces de portavoz, le dijo a la policía que permaneceríamos ahí de forma pacífica a la espera de que llegara el Procurador. Decenas de agentes de paisano fueron rodeándonos de forma amenazante, tomándonos fotos y provocándonos, y, mientras continuaba la conversación, un miembro de la Policía Judicial me quitó el móvil de la mano y entre seis o siete me apartaron del grupo. Entre empujones, patadas y puñetazos me arrastraron hacia las afueras de la ciudad, en dirección a Smara. Lo mismo le ocurrió a Berta. Me tiraron al suelo y vi cómo las fuerzas de intervención, cubiertos con cascos y armados con porras, bajaron de siete furgonetas que estaban aparcadas a unos 400 metros del grupo, dirección a Smara, y venían en avalancha para cargar contra los activistas; varios de ellos hicieron mención de golpearnos pero uno de los agentes de paisano les dio el alto y pasaron de largo en dirección hacia los saharauis, contra quienes cargaron de forma sorpresiva, con total brutalidad y sin mediar palabra, dispersándolos con violencia extrema. Mientras nos sacaban de la ciudad, y continuaban los golpes, insultos y amenazas, otro agente de paisano me arrebató la bandolera con mi documentación, cámara de fotos y efectos personales. A Berta le quitaron la cámara de video y se vio obligada a abandonar en el suelo su mochila con la documentación y todo su equipaje. Hassanna Duihi salió corriendo en nuestra ayuda, lo que originó una violenta reacción policial y nuevas agresiones contra él. Cada vez había más agentes de paisano que se sumaban a las agresiones y amenazas. Cuando bajó un poco la tensión nos dijeron, en inglés, que eso nos pasaba por andar apoyando a terroristas. Nosotros les dijimos que éramos observadores españoles, que lo único que habíamos hecho era acompañar a un grupo de saharauis Defensores de los Derechos Humanos y ser testigos de lo sucedido; que habíamos comprobado cómo se comportaban los saharauis y cómo actuaba la policía marroquí contra ellos y que sabíamos que eso les molestaba; les dijimos que ya no teníamos nada más que hacer allí y que nos dejaran ir al hotel. Finalmente me devolvieron la bandolera, únicamente con mi documentación, y fuimos abandonados al final de la Avenida de Smara. 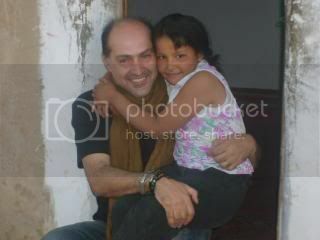 Volvimos en busca de los activistas pero ya no quedaba nadie, tampoco encontramos la mochila de Berta. Sólo quedaba el coche de apoyo que había acompañado a los saharauis. Sin móviles ni saber a quién recurrir, estuvimos vagando durante más de una hora en busca de un lugar donde pasar la noche. En nuestro deambular fuimos seguidos de cerca por varios vehículos policiales, desde los que continuaron los insultos y provocaciones mientras nos tomaban fotos y nos grababan en video. Cuando ya estábamos próximos a la Avenida de La Meca, nos adelantó un todoterreno que giró rápidamente en una calle; de él bajaron dos activistas saharauis que venían a buscarnos. Según nos explicaron después, una mujer saharaui nos había visto en la calle, nos reconoció y avisó para que fueran en nuestra búsqueda. Después de más de una hora huyendo de la policía, y gracias a diversas artimañas, que no procede detallar aquí, conseguimos llegar a casa de Sidahmed Lamjaiyad. Acudieron varios activistas a interesarse por lo sucedido y ellos mismos consiguieron recuperar la mochila de Berta, que la policía había metido en el coche de apoyo en la Avenida de Smara, junto con las mantas y otros enseres abandonados tras la carga policial. Tras descansar un poco, y ya en la mañana, fuimos a casa de Duihi, donde habían pasado la noche la mayoría de los activistas agredidos el día anterior. Entre los numerosos heridos durante la violenta intervención por parte de las fuerzas de seguridad marroquíes, caben destacar: Hassanna Duihi, Sultana Khaya, Elwaara Khaya, Hassanna Aalaya, Hayat Rguibi, Fadah Aghlamenhom, Izana Amaidan, Nguiya Elhawassi, Said Hadad, Moustapha Dah, Saleh Zaigham, Mohamed Rachid Ndour, Mohafadel Khaya, Sidi Haiba Ahbibi, Hassan Dah y Elbachir Khadda. Desde allí pudimos contactar con nuestros compañeros en España y ponerles al corriente de lo sucedido, pues no habíamos podido hablar con ellos desde la noche anterior. Tras tomar algunas fotos como prueba gráfica de lo sucedido, conversar un rato con los activistas y obtener más detalles de las agresiones recibidas en la puerta de los Juzgados, tuvimos que marcharnos para retirar nuestros billetes, pues en unas pocas horas debíamos tomar un avión rumbo a Casablanca. Mientras nos dirigíamos a la agencia de viajes, se nos acercó un agente de paisano y nos preguntó si éramos los españoles a los que la noche anterior nos habían sustraído algunos objetos, pues habían aparecido y la policía nos esperaba en la Comisaría de El Aaiún para devolvérnoslos. Una vez allí, y tras media hora de espera, nos recibió quien dijo ser la máxima autoridad policial. Nos entretuvieron sin motivo alguno hasta el punto que tuvieron que avisar al aeropuerto para que el avión no despegara sin nosotros. El policía, que dijo no contar con ningún agente que hablara español, nos relató, alternando el inglés y el francés, su versión de los hechos sucedidos el día anterior. Una versión totalmente oficialista, hipócrita, provocadora y falseada. Según nos contó, la intervención policial a la entrada de El Aaiún había sido para proteger a los saharauis frente a las posibles agresiones de un grupo de ciudadanos marroquíes molesto y que no consentía la actitud de los activistas. Acusó a los saharauis de desagradecidos pues, en lugar de apreciar el supuesto apoyo policial recibido, habían decidido seguir provocando ante los Juzgados. También las acciones policiales contra nosotros habrían sido para protegernos. Argumentó que Marruecos era un país democrático, al igual que España, y que los saharauis pueden elegir libremente si marcharse a Argelia, o “lo que ellos llaman R.A.S.D”, o permanecer en Marruecos, y que si ésta era su decisión debían cumplir con la leyes vigentes. Nos trajeron nuestras pertenencias (dos móviles, una cámara de fotos y una de video) y nos dijo que comprobáramos si todo estaba en buen estado. Cuando le dijimos que las tarjetas de las cámaras no eran las nuestras nos preguntó de forma amenazante que si eso suponía algún problema, que él no sabía cómo habían aparecido en comisaría y que él simplemente quería entregarnos, personalmente, lo que nos pertenecía; que no quería problemas con los españoles. Al parecer, la Embajada de España había intervenido, tras ser informada de lo sucedido por varios compañeros nuestros. Lo cierto es que ninguna autoridad española se puso en contacto con nosotros para interesarse por nuestro estado. Tras firmar un documento en francés, donde reconocíamos haber recibido en perfecto estado nuestras pertenencias, nos hicieron entrega de las mismas y nos condujeron en un coche policial hasta el aeropuerto. Solicitamos insistentemente una copia del documento, pero se negaron a entregárnosla. En el mostrador de facturación nos dijeron que el vuelo estaba cerrado y que la única alternativa era volar vía Las Palmas. Después de hablar con varios responsables del aeropuerto, accedieron a nuestro embarque exigiéndonos 3.000 dírham (unos 300 euros); nos negamos a pagarlos y finalmente nos dejaron embarcar rumbo a Casablanca. Una vez más, hemos sido testigos de la farsa del funcionamiento democrático y legal de la administración marroquí. El Gobierno marroquí, mediante el terror y la violencia, persigue al Pueblo Saharaui por el sólo hecho de reivindicar pacíficamente su legítimo derecho histórico de vivir libremente en su tierra, por no reconocerse ciudadanos del Reino de Marruecos, por ser saharauis. Queremos denunciar la nueva estrategia de terror, diseñada desde Rabat e instaurada por las autoridades políticas y policiales marroquíes, que utiliza a los colonos como medio de represión hacia los activistas y la población saharaui. Si finalmente cala en la población marroquí el mensaje oficialista de que sus carencias y falta de posibilidad de progreso son debidas al conflicto del Sahara, la situación se volverá incluso más violenta. Las autoridades marroquíes no buscan otra cosa que desvincularse, ante la opinión internacional, de su papel represor y violador de los Derechos Humanos; algo ya indiscutible. Quieren, por eso, trasladar esa función a los colonos, lo que podría desencadenar en un conflicto civil entre la población saharaui y marroquí muy difícil de controlar y con unas consecuencias imprevisibles. Por esa vía buscan, también, la legitimidad de las fuerzas de ocupación para intervenir ante esos posibles conflictos. Hemos comprobado, una vez más, que nuestra presencia no garantiza la seguridad de los saharauis, ni evita la represión y las agresiones contra ellos; pero es necesario que, al menos, haya testigos que rompan el bloqueo informativo. Por eso, hoy es más necesaria que nunca la presencia internacional en los Territorios Saharauis Ocupados por Marruecos; como apoyo moral a los activistas y la población saharaui, como denuncia de las atrocidades cometidas por las fuerzas de ocupación marroquíes y como defensa de la justicia y la legalidad. Finalmente, queremos agradecer la hospitalidad y dedicación de los compañeros saharauis y el apoyo e interés de todos aquellos que, de una forma u otra, se esforzaron por saber y difundir lo que aconteció durante nuestra estancia en Marruecos y el Sahara Occidental. También recordamos a aquellos que, aún siendo su deber, no mostraron la menor preocupación. (1) Vinculada a las Comisiones de Derechos Humanos de las Asociaciones de Amistad con el Pueblo Saharaui de Castilla y León. (2) CODAPSO: Comité de Defensa del Derecho de Autodeterminación del Pueblo del Sahara Occidental. (3) FAFESA: Foro Futuro para la Mujer Saharaui. (5) CORELSO: Comité para el Respeto de las Libertades y de los Derechos Humanos en el Sahara Occidental. 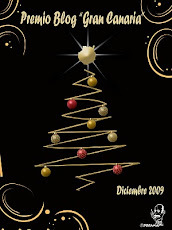 (6) Comité de las 15: formado por las madres de los quince jóvenes secuestrados por las autoridades marroquíes en diciembre del 2005 en El Aaiún y que continúan en paradero desconocido. (7) CORCAS: Consejo Consultivo Real para Asuntos del Sahara. (8) Integrante, junto a Ali Salem Tamek, Brahim Dahan, Saleh Lebaihi, Yahdih Ettarouzzi, Rachid Sghayer y Degja Lechgar, de la primera Delegación de Activistas Saharauis Defensores de los Derechos Humanos que viajó a los Campamentos de Refugiados Saharauis en Tinduf (Argelia). A su regreso, el día 8 de octubre de 2009, fueron detenidos por la Policía Judicial marroquí en el aeropuerto de Casablanca. Degja Lechgar fue puesta en libertad provisional por su grave estado de salud. Los demás permanecen en la prisión de Salé (Marruecos), en huelga de hambre desde el 18 de marzo, a la espera de un juicio militar que les puede condenar a la pena de muerte, acusados de "traidores a la patria y enemigos de la integridad territorial marroquí"
(9) CPORN: Comité de Apoyo al Plan de Resolución de Naciones Unidas y la Protección de los Recursos Naturales del Sahara Occidental.